This is how the Fédération des Entreprises de Boulangerie (FEB) introduces itself online to the world of bakery professionals. The activities of the association are organized around two unions that focus on the specializations of its members: The Federation of Bakery Industries, which includes industrial companies of all sizes, manufacturing bakery products, pastries, fresh or frozen; and the bakery and confectionery trade union, which groups together networked and stand-alone stores. Each of the two unions designate five members who make up the FEB’s Board of Directors, through each of their nine-member councils. Parity between these two unions is respected to ensure greater cohesion among all members. The FEB is an old organization, founded in 1939. Matthieu Labbe (pictured), executive officer, shared a timeline with us: “We grew with the industrialization of our sector over time. We are the only association that represents plant bakeries, viennoiserie and pastry manufacturers. We have been organizing training for our members, on topics such as workplace safety and balanced nutrition.” One of the large-scale events organized by FEB is the 35th international bakery congress held this summer (in collaboration with AIBI). “We organized the Congress hosting 200 participants in May, under the main theme, ‘Bread and Bake-off Technology in Europe’,” he added. There isn’t a single profile describing the members of the organization; the companies that are a part of FEB have very different profiles: “More than 38,000 people work in our companies. We have numerous SMEs and big companies alike that are a part of FEB, representing in total EUR8.5bn, of which EUR2bn is the export value. Any company manufacturing bakery products and/or pastry can join the FEB, regardless of its size,” as eligibility is concerned. “Every year, we organize a business trip to meet [experience] new markets. This year it was Japan, next year we will visit Canada,” he said. The diverse manufacturers are able to defend their common goals through the professional organization, and share useful information. To serve its members, the FEB has a small team of six permanent representatives, each in charge of several commissions, including social, technical, security, and exports, Matthieu Labbe told us. The activities of the commissions within FEB include “negotiations with workers’ unions on the updates of the collective agreement, development of a methodological guide to reduce energy consumption, creation of a safety training platform, development of a guide for the prevention of musculoskeletal disorders, and more,” explained FEB’s representative. In addition, the association organizes many collaborations with major industry events: “We serve French industrial bakery companies. We organize many events to deepen knowledge and manufacturing techniques,” he explained. The association will be present at the upcoming Europain trade fair in February 2018, and should participate at the next SIRHA, taking place in Lyon in January 2019. He also summarized major market challenges for the bakery and confectionery industries, at national level and worldwide: “Quality and innovation are the basis for conquering new markets.” In this respect, “Transparency in production is one of our priorities; we are stakeholders in a sector project to introduce more fibers into the bread, and we are actively working on topics such as energy savings, sustainable development,” he illustrated. As there are several niche sectors that currently garner R&D and consumption interest (i.e. free-from, vegetarian/vegan, clean/clear label, fibers, pulses etc. ), it is important that to correctly anticipate which will be a main component of the mainstream market in the long run. “Indeed, we are seeing a change in the market, with a change in consumer desires. We decided at the FEB, not to suffer [lagging behind new trends], but to understand and anticipate them. This is why we have created a working group on gluten, for example. 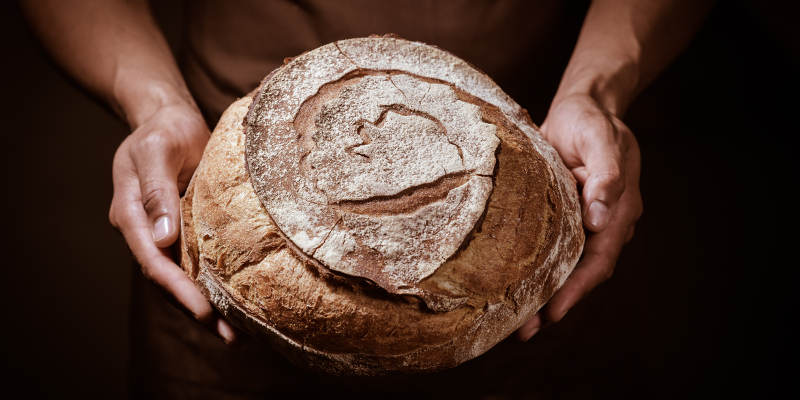 We work with researchers to understand how and why gluten affects the stomach,” says the association’s representative. You can read more in our print magazine European Baker & Biscuit (Jan/Feb 2017)!